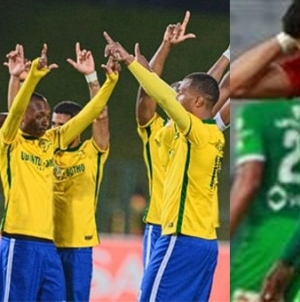 Egypt’s Ahly failed in their near-impossible bid to stage a historic comeback from five goals down as they were eliminated from the African Champions League quarters after only claiming a 1-0 home win over South Africa’s Mamelodi Sundowns on Saturday. According to Al Ahram, despite being roared on by tens of thousands of supporters at Alexandria’s Borg El-Arab Stadium, Ahly hardly made their dominance count after failing to break down the resolute visitors for long spells. Their first goal came too late for the Red Devils to stage a comeback, with Walid Azaro heading home eight minutes past the hour mark. 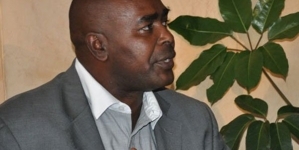 They also wasted several clear-cut chances and Nigerian forward Junior Ajayi had a goal harshly disallowed for offside early in the second half. But Ahly could have few complaints after a disastrous first-leg display in Pretoria saw them lose 5-0 for their first worst ever defeat in an African competition. Despite bowing out at the quarter-final stage, in stark contrast to the previous two seasons when they reached the final on both occasions, Ahly’s players were greeted by their supporters following the final whistle. 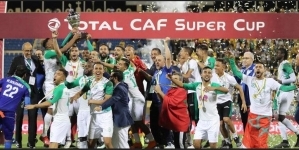 The demanding fans called on the Cairo giants to win a fourth straight Egyptian Premier League title, which they top in a tight and increasingly thrilling race with arch rivals Zamalek and big-spending Pyramids FC. 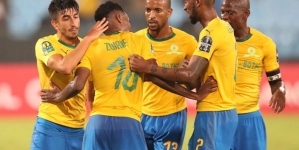 Ahly laid siege to Sundowns’ area from the outset but with veteran keeper Denis Onyango in inspired form, they could not find the early breakthrough they desperately needed. 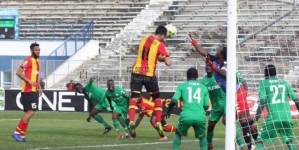 The Uganda international smothered a close-range angled effort from Azaro early on and blocked another volley from the Moroccan striker after he robbed a Sundowns defender. In between, the best chance of the half fell to central midfielder Amr El-Sulaya, whose superb curling effort struck the upright, with Onyango finally beaten. Ajayi tucked away a rebound just after the restart but Gambian referee Bakary Gassama ruled the goal out, although television replays suggested that the deep-lying forward was not in an offside position. Failing to score at least a goal until this point took the wind out of Ahly’s sails, with their spirits dampened and the fans appearing resigned to a looming elimination. But there was still room for some consolation, with Azaro sending a powerful header home following an inviting cross from experienced right-back Ahmed Fathi, who was an otherwise peripheral figure.